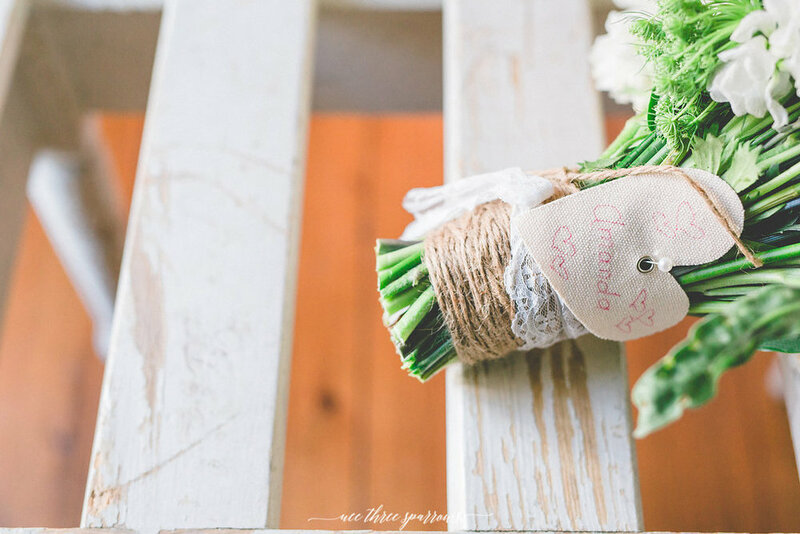 When I sat down with Amanda & Wayne over some coffee and began the fun process of creating a floral/decor package everything flowed with ease. Only then after they were booked with me to realize that I was also designing Wayne's close friend Lee & his soon to be wife Rebecca's Wedding in the same year. Married late last fall at the beautiful Knollwood Golf Course in Ancaster, the weather although a tad chilly, cooperated for a perfect day!! Rustic florals, babies breath, steel pots, vintage decor, my barn board pedestals & mason jars created an elegant twist to their earthy style. 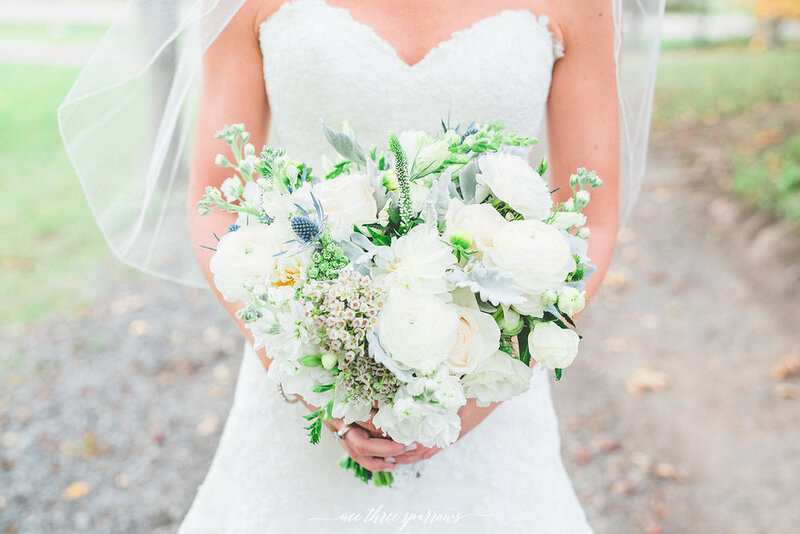 White, cream, dove blue & greens were the colour palate design of the bouquets, ceremony & table décor. With them being avid baseball fans & players themselves we incorporated tall cylinder vase décor pieces of baseballs and curly willow for the receiving table and these now to this day sit in their home. Lanterns with babies breath & candles, lush florals atop authentic rustic pedestals, reception tables with vintage books, lace, birdcages, some burlap & the perfect amount of blooms in mason jars. The fireplace décor of two steel pot containers filled with florals behind the head table. Wee Three Sparrows Photography captured their perfect love story!! !